Chargebee is a PCI Level 1 certified recurring billing platform for SaaS and subscription-based businesses. Chargebee integrates with leading payment gateways around the world to let you automate payment collection, invoicing, email notifications, and customer management. With power packed integrations such as Xero, QuickBooks Online, Avalara, NetSuite, Zendesk, MailChimp, ShipStation, Salesforce, Slack, and Shopify, Chargebee takes the pain out of subscription billing. Chargebee saved us a TON of dev time. Pros: I love that Chargebee allows young startups to get their feet under them before charging them. The integration into Braintree was SUPER easy and we haven't really had any problems with it since we started using it. 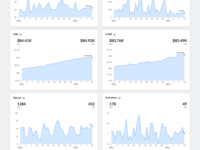 It allows us to manage subscriptions without building our own dev dashboard to do that and gives us much more flexibility than Braintree for doing so. We use coupons to run promos and Chargebee makes that super easy. We use their hosted page for payments inside of an iframe and that has been helpful as well. Again the biggest thing as a young startup is not having to build all of that ourselves or asking the dev team to make changes every time we need to address an issue. 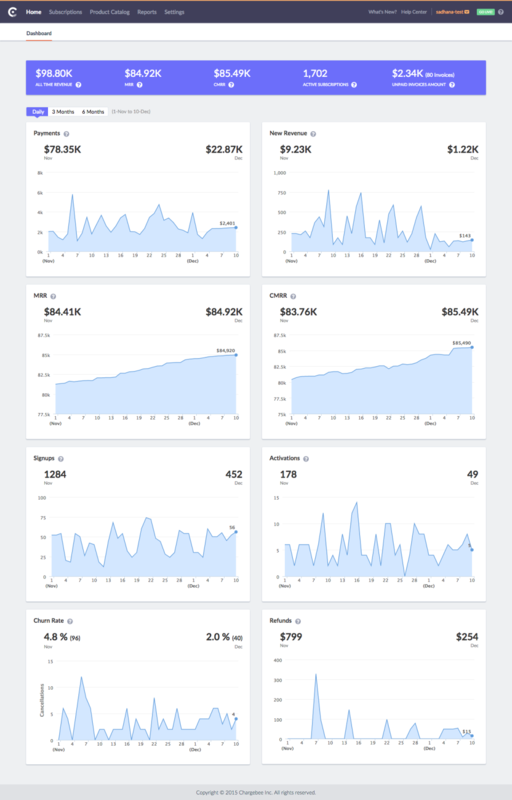 Overall I've been very happy with Chargebee and we plan to continue to use them moving forward. Pros: We rely on Chargebee to manage subscriptions to our product. It's easy to use and to be integrated, and offers many features such as invoicing, TAX calculator based on location, several plans, offline payments, etc. Customer Support is great and they always hear what you say. Besides managing your subscriptions, it does something very important. By using their payment form on your website, you can easily integrate with several payment processors. This is especially important if you have payments that have been rejected by one processor and you can send them to another processor. It also reduces the dependency on one single processor. Cons: The only thing that comes to mind is that the invoices it produces are not legal in some countries. For instance, in my country, invoicing software needs to be certified and to produce a SAF-T file with all invoices, that we need to submit to tax authorities. 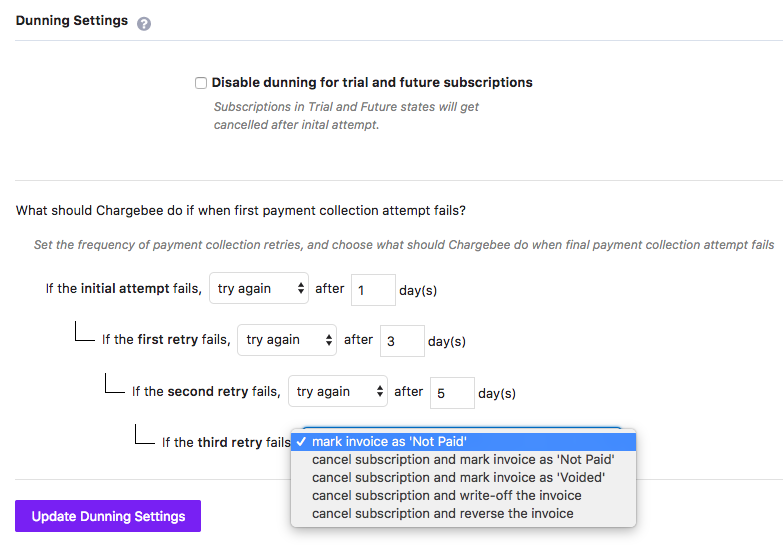 Since Chargebee doesn't do any of that, I need to have a separate invoicing platform. - A very, very carefully and thoughtfully planned interface with a deep understanding of the user. Cons: I faced literally two issues through the course of 6 years using Chargebee in production. Overall: We're ourselves are SaaS product, and use Chargebee as a backend for our payments and billing. We extensively use addons and various combinations of subscription plans. I couldn't name another product that I would be that happy with as I am with Chargebee. Pros: nice options available to flexible pricing options for SaaS. complete suite to manage invoicing and recurring payment. The test site for training prior to using is also very useful. We are able to use it really well due to this feature and we can train new employees on the product as well. 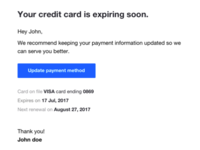 Cons: payment gateway integration can be a little more seamless they always encourage stripe, but a lot of spurious txns get generated on that platform. 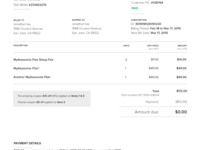 Overall: managing payments on saas product. Pros: The application is Subscription enabled. So if the monthly billing amount is same then the subscription will create Invoices every month automatically without manual involvement. Cons: Sometimes due to system error invoices get created and get paid, which is not in order. I cannot bill single customer from to supplier. Overall: Saving lots of time in Invoicing to the customer. Thank you for your review :) We¿re glad that you find our product useful. Regarding invoicing due to system errors, I would like to understand more on this. Could you please send me your email address so we get in touch with you on this? Pros: Chargebee is a very effective platform for recurring billings. It allows you to create plans, addons, coupons, and invoice reliably time and again. Cons: Complex billing situations, such as sending a customer a single invoice for several subscriptions, are a bit more complex and require a lot of meddling with the system. 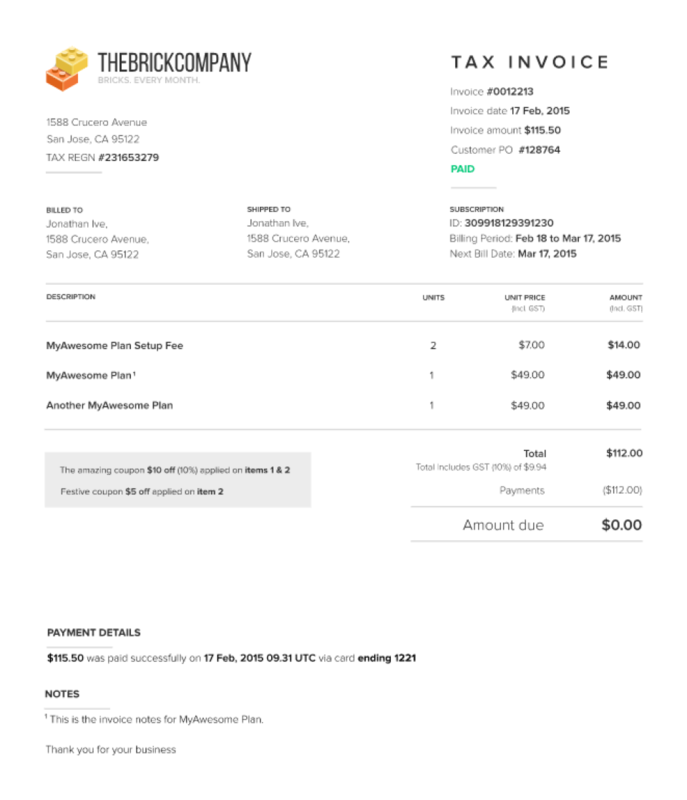 We do have a feature called Consolidated Invoicing that provides the functionality to consolidate and send out a single invoice for multiple subscriptions of a customer. We will send out a detailed email to you on this feature at the earliest. Cons: Missing the possibility to be able to add multiple invoice rovs to an invoice. Overall: A fantastic tool which makes it really easy to handle all your subscriptions in one place. Integrate it with the API and you can quickly start charging your customers on any period that you want. With smart and simple integrations to payment gateways you will see money on your account directly and you don't need to handle the credit card information. New product and coupons is simply added and managed in the interface. Looking forward to explore the tool even more. Pros: We rely on Chargebee for the recurring element of our business. It is incredibly flexible in the types of subscriptions you can create, and how you want to manage them. Every single element of every customer's subscription is customizable. Thank you so much for taking your time out to review us. Pros: The seamless integrations is enables as well as the automation that come with it. Cons: The UI can be a bit dragging and makes it difficult for one to stick on the software. Overall: Chargebee enables is to efficiently bill clients and keep updated records of all customer billing information. The system also enables us to remind clients on outstanding payments. Its integration with our CRM enables us to help keep a centralized platform for custom relations. Pros: Really ease the pain of implementing payment processing. I have tried implementing Braintree without Chargebee and it was a nightmare. Cons: I have nothing to complain. They are improving all the time and doing its job. Comments: I first heard of Chargebee after doing some trial integration of both Chargify and Spreedly with our new SaaS app rocketmailmerge.com. A quick look over their API documentation and we were off to work integrating their system with our billing and customer management. Chargebee's API was very easy to integrate, it took only 1 day to get up and running on their sandbox due to their great example code. As an Australian Startup it's very difficult to find a payment manager that can connect to a payment gateway to process USD. Fortunately Chargebee integrates with both Worldpay and eWay. We use Worldpay as our payment gateway so it was paramount that our payment manager supported them. Not only do they support them but about 25 other payment gateways should we ever need to change payment gateways. Chargebee's fees are dirt cheap which makes it a great option for startups who are bootstrapping their building. Their pricing is very competitive and was the best I could find on the market. The team at Chargebee are very helpful and always respond quickly to support emails. Any questions we've had have been answered in detail and the team is a pleasure to communicate with. I will be using and recommending the Chargebee billing platform for all my future projects. Pros: I LOVE that you get to start for free while you're getting set up and building your business. That option is very valuable to me and the clients I work with. That is probably the #1 reason my clients have chosen the platform in the past. Cons: There's so much to set up and sort out, and while it's nice that they reach out to hop on a call and give support (they reach out too much, actually), I'd rather have tutorials or even just a clearer sense of what to take care of first, what comes next, and on and on. It also surprises me at times how seemingly simple things are not handled simply. For instance, you should be able to send invoices without a client's credit card, or set up multiple payment plans within the same product. Thank you for taking time out to review us :) I¿m happy that you find our test environment valuable and useful. Regarding your feedback on set up, we will surely take this into consideration and work on a much more easier and quicker way to help set up the Chargebee account. Should you have any queries, please reach out to me or our support team and we will do our best to resolve them. Comments: Our small local professional org / non-profit was looking for a newsletter / member management system that was supported and not going to break the bank. During our investigations of MailChimp, we learned about Chargebee. While a relatively new company, we were given confidence by MailChimp's endorsement. We went live a week ago with our new solutions and cannot be happier. Pros: We've found Krish and his team to be super helpful. They were responsive and informative to our pre-sales questions and have been helpful setting us up with their system. Generally, the product is very easy to use. They are receptive to feedback. Cons: Since Chargebee is a new company, there are a few rough spots, for example, when using their hosted payment pages, any payment errors are generic. Also, for someone not familiar with payments, some of the configuration took some work. Thank you Todd. A pleasure to work with you. Your inputs on your use cases certainly helped us & your review has been a great help to import your existing subscriptions. Looking forward to a long relationship. Thank you. Comments: We have been using Chargebee for over 6 months now and the experience has been nothing but great. The setup and onboarding is amazingly simple. From a developer point of view, integration process has been clearly chalked out and documentation is crisp and to the point. The pricing plan itself is very encouraging. 50K dollars are processed without any cost. Cons: Setting up payments in multiple currency requires a bit of a workaround but again its sorted out. Simply Awesome Subscription Billing that JUST WORKS! Comments: I''ve been relying on Chargebee to handle all subscription needs for my online wordpress maintenance service for the last 3 years. They always went above and beyond my expectations in helping me with anything I asked of them. I have never once encountered a problem due to their service! I love their team. I respect their leadership. I highly recommend you check them out! Cons: None! Never had an issue. Comments: Chargebee is excellent for subscription businesses who need to manage their payments and invoices. I would strongly recommend trying it out. It's extremely easy to use. Should you run into any issues, their support team is amazing and very responsive. Pros: Extremely easy to get set up and start taking payments. 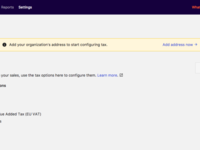 Cons: A Xero integration would be useful, which they have built and are currently testing. Recommendations to other buyers: Start a free trial. 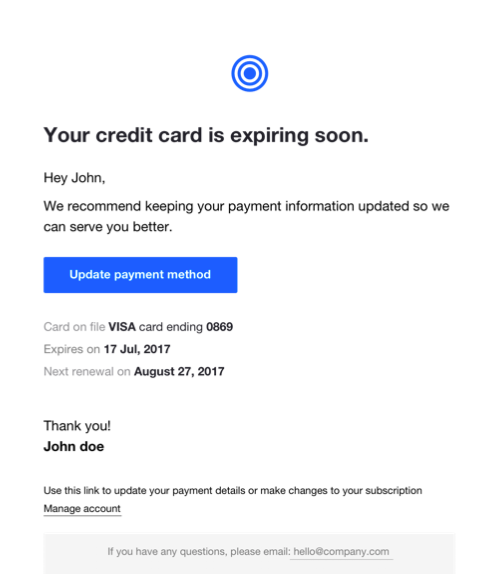 Overall: Found Chargebee after switching to braintree payments for my credit card processing needs. Super simple setup, and easy to create products and customer subscriptions. Hosted payment pages make collecting payment securely a breeze. Pros: I fell in love with ChargeBee's interface and sleek outlook. They have rich features to offer, perfect for companies who look for a solid alternative to manage their subscription transactions. Cons: Their pricing is something that may bring a challenge for small companies to adopt it. Otherwise, this is nice for large enterprises, even SAAS companies with solid revenue track. Pros: That I could start subscriptions for my customers and also invoice them with their profile(accounts). Comments: I've had many 'long-term' customers, who are very satisfied with my Pilates services, but for whom the whole 'buying/tracking' packages of sessions has become too onerous. Chargebee has allowed me to provide my customers with the same stellar service, but at a reduced cost because I save bookkeeping time and money. Pros: This product allows us to offload some of the product configuration and pricing build that we would have had to do and business users can now configure new product / feature combinations. Cons: There are still features I wish existed such as more customization on how the pages look in the shopping cart experience. Pros: The system is really good. Can create multiple plans, adds on, good too to manage legacy customers and very intuitive to use after the initial setup . Cons: requires a lot of tinge on the beginning to do all the setup. The person who is responsible for this need to be fully engaged in order to do the right settings. Pros: The setup was smooth and did not take a lot of time. It integrates well with stripe and complements its feature sets. Cons: Not a lot that i hate about Chargebee per se but i think integrating with accounting software even on the Go plan would have made it even better. Comments: Fast update of clients who have paid for their software subscription. Ease of use and handy search function.